This tour to the land down under was always going to be a tough one for Sri Lanka, and that’s exactly the way things turned out in Brisbane. Australia took no prisoners as they wrapped up the Test inside three days, and while the pink ball suited the hosts’ strengths and did the opposite to the tourists, there is still the nagging feeling that this is a complete mismatch on paper, and now, in reality. The hosts should enter this second Test in a ruthless sort of mood, looking to win big once again. Given the summer Australia have had, where problems hampered their series against India and a lack of form has had the public calling for players’ head’s, there is a refreshed squad who have opportunities to try and cement their position in the side ahead of the Ashes. Ahead of the likely returns of Steve Smith and David Warner, it’s the batsmen who have been under pressure, but they performed well in Brisbane, running up 323 to win the match by an innings. Sri Lanka, meanwhile, are continuing what has been a pretty horrific run, with a home loss to England and drubbing away at the hands of New Zealand. Really, given their form and the conditions they generally perform better in, it was no surprise to see them end up the way they did at the Gabba. The Australians have made one change to their squad from Brisbane, with all-rounder Marcus Stoinis added and opening batsman Matt Renshaw dumped. Whether that means any changes to the actual XI remains to be seen. I’d say Australia will go in with an unchanged XI, because, why change a winning formula? None of the batsmen deserve to be replaced. While it’s an inexperienced order, it’s an order with plenty of potential, and one which needs to be given a good run in Test cricket to establish whether they can cement their position in the side moving forward against what will undoubtedly be tougher opposition – keeping in mind the next series is away from home for the Ashes against England. However, what could happen is the dropping of Mitchell Starc. While it’d be rough on Peter Siddle to drop Starc and not play the veteran, given he has been sitting on the sideline all year, Stoinis could very well be picked to bat at either seven or eight, which would strengthen the Australian batting order and, given the form of Starc, make very little change to the way the bowling attack will operate throughout the Test. The danger of that of course, is that the deck in Canberra is expected to be flat. If Sri Lanka can get in and grind their way through a long innings, four bowlers with one of them being Stoinis won’t fill anyone with great confidence, and is likely to put extra workload and stress on the in-form Pat Cummins and impressive rookie Jhye Richardson. There are some major problems for Sri Lanka leading into this second Test. While their batting was a mile below par in Brisbane, it’s unlikely the replacements listed in the squad would have a better time of it, and so their top seven is likely to stay as is. There will, however, certainly be a pair of changes for the Canberra Test, with Dushmantha Chameera and Lahiru Kumara both returning home through injury. It hurts their bowling stocks in a big way, with the two quicks missing out. Nuwan Pradeep is also already out of the squad through injury. In their respective places, Chamika Karunaratne has been called into the squad and will likely slot straight into the final XI for the Canberra Test, while Kasun Rajitha was somewhat unlucky to miss out on the first Test after some poor form and will probably come in as the other replacement. The changes leave the Sri Lankan attack looking worse for wear though, and the Aussie batsmen could be in for a field day. Who is going to break the century duck? Australia have had very few big scores this year, with only Usman Khawaja’s century against Pakistan breaking the string of low scores from everyone picked in the Baggy Green. 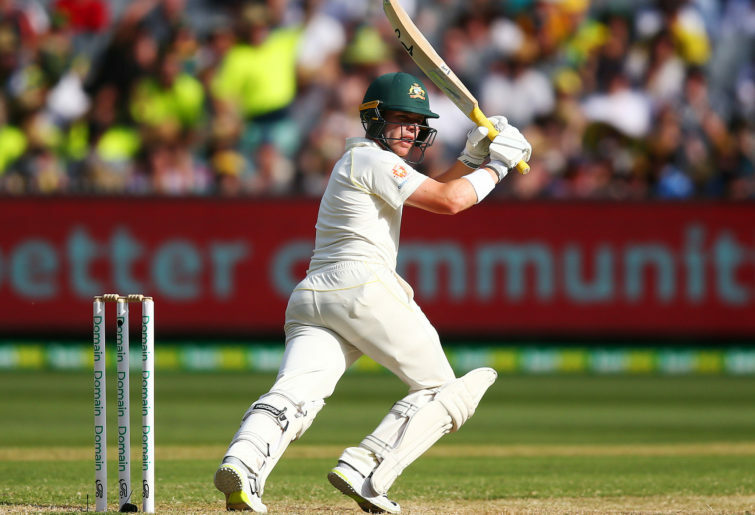 This tough, against a depleted Sri Lankan attack from a team who were already struggling to handle the conditions down under, will allow the Aussie batsman to ram a point home and make plenty of runs. Marcus Harris has looked likely all summer, but inexplicably continues to find ways in getting out. He might look the most likely, but Khawaja will be keen for runs, as will Joe Burns, Kurtis Patterson and Marnus Labuschagne as they continue to try and cement their spots in the team, which is constantly changing and, for the most part, doesn’t look like settling down any time soon. Breaking the duck of centuries, insignificant as it may seem, it still a crucial factor for the Aussies. 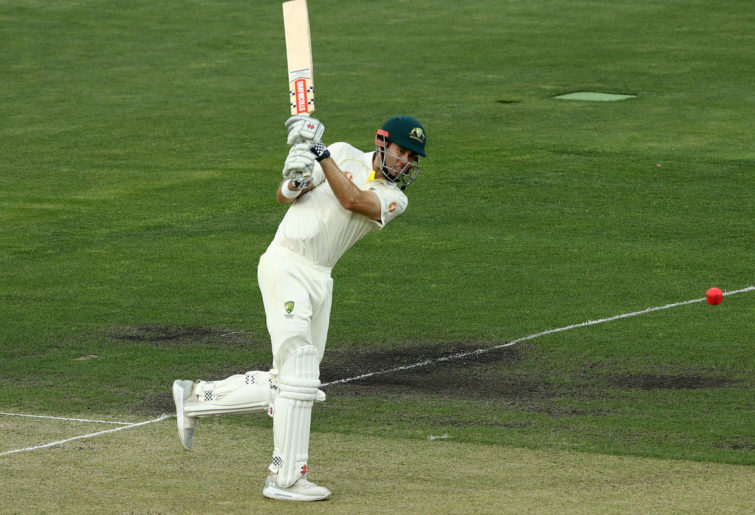 Confidence amongst the batsman is low, and that’s witnessed through some of their play at the crease, but one century could take the lid off and allow the Aussies to be more competitive once again. How do Sri Lanka get wickets? Given the Sri Lankan attack was only able to knock over the Aussies for 323 in Brisbane, this could be a nightmare for the tourists on an anticipated flat Canberra deck. Without their two opening bowlers to create some pace, swing and damage at the front of the innings, Joe Burns and Marcus Harris might have an easier time of it getting in at the crease this time, and could ram home the advantage. Tim Paine winning the toss is crucial if Australia are to bat Sri Lanka right out of the game, but even an inexperienced squad look like they may be able to do that against the ‘Lankans. The big hope here for Sri Lanka is that Suranga Lakmal can continue his fine form, where he took 5 for 75 in the only innings of the Brisbane Test. With both Dushmantha Chameera and Lahiru Kumara, Lakmal will be thrown the new ball and need to perform alongside the two other rookie quicks in the likely final XI. He will need to lead from the front with the relative inexperience of the attack, but there will also be plenty of pressure on spinner Dilruwan Perera. Perera would have played plenty more Tests if not for Rangana Herath, but now finally has his chance and made it count in Brisbane, bowling 32 economical overs and grabbing a couple of wickets to boot. On the flat deck in Canberra which could well break up over the final few days of the match, Perera is a good player to have for you, rather than against you. Sri Lankan captain Dinesh Chandimal is a great cricketer, and it’s a fact Australia will know too well given the keeper belted the attack to all parts on the last tour to Sri Lanka. His first Test in Brisbane with the pink ball though was nothing short of a disaster, as Chandimal ended up with scores of just five and a duck. That puts immense pressure on the Sri Lankan skipper to perform this time around, because if he struggles to, it’s going to be not only a whitewash, but given recent form, potentially the little c on the teamasheet next to his name in jepoardy. 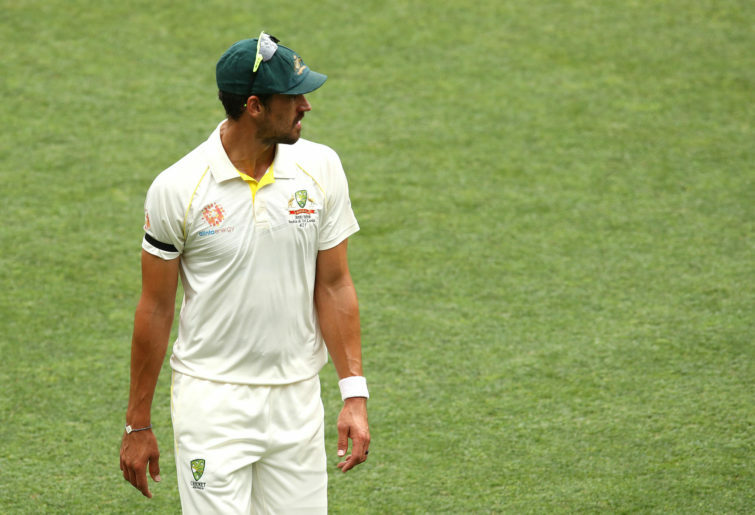 Should Starc continue to play? If there is a bowler who has been out of form and out of sorts in the Australian set-up, then it’s former spearhead Mitchell Starc. While he still has raw pace as an absolute weapon to terrorise opposition batsmen, his accuracy and consistency this summer has been woeful. In fact, his entire 2018 has been pretty poor, and Starc has been on a downward form spiral which is threatening his place in the team. In a worrying sign, Marcus Stoinis was added to the squad for the second Test of this series, and while it’d doubtful he will play, the most logical swap could well be the dropping of Starc for either the all-rounder or fellow quick Peter Siddle, who has been sitting on the sidelines for the duration of the summer. The bottom line is that Starc’s bowling hasn’t been good enough since the Ashes last summer, and there appears every chance his spot for the Ashes in England this winter is less than secure. If selected, he needs bags of wickets here, because Josh Hazlewood will be back for the trip to England, and with Richardson impressing, Siddle on the border and Chris Tremain likely to excell in English conditions, the spot for Starc could well and truly dsiappear over the next 12 months. Note: Hours of play can be changed and modified due to weather. An extra hour is available each day should time be lost. The start of play can be brought forward by half an hour if weather prevented overs being bowled the day before. Play can be extended by a further half an hour should overs not be bowled at the scheduled or rescheduled finish time due to slow over rates. Australia are going to win the Test, that there is almost no doubting. Still, there is plenty on the line in terms of form and potential Ashes selections, with players using this series to cement positions in the team. For that reason, on a likely flat Manuka Oval deck, you can bet the Australian batsmen will want to bat long and bat big. If they can do that, the Test might get into the final day, but otherwise, this could be all one-way traffic once more, particularly now that Sri Lanka’s pace-bowling stocks have taken such a beating. Their batting wasn’t up to scratch in Brisbane, and while the ball will do less here, they are a number of steps behind the Aussies, who will cruise to a 2-0 series victory. Australia to take a 2-0 series win. Don’t forget to stay across all the action in Brisbane with The Roar as we bring you a live blog of each day’s play, as well as highlights.